The best beaches of the Costa del Sol are waiting for you. We have compiled for you a list of the most spectacular beaches, so that for the next summer, you just have to take your towel and swimsuit. The wild Cabopino Beach is located in the dune enclave of Artola, in Marbella. In 2001, this area was declared zone of natural interest, which gives it great scenic value. 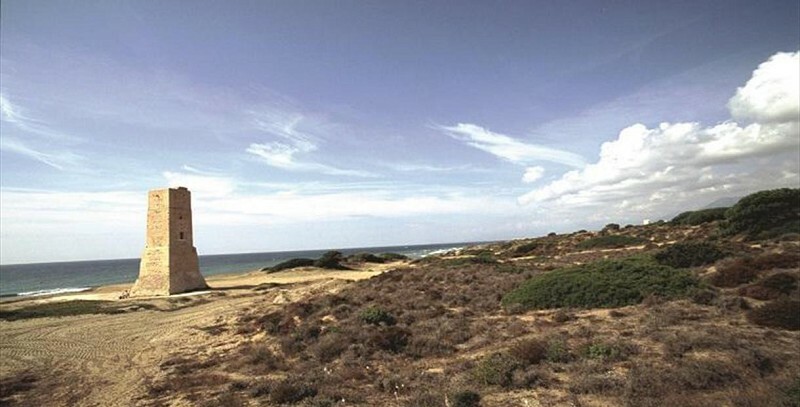 Here, you can find the Thieves Tower, a defensive Roman structure of 15 meters, declared of Cultural Interest, and which marks the area where the nudist part of this beach begins. So, if you are one of those who want a full tan this summer, Cabopino Beach can be a very interesting option. 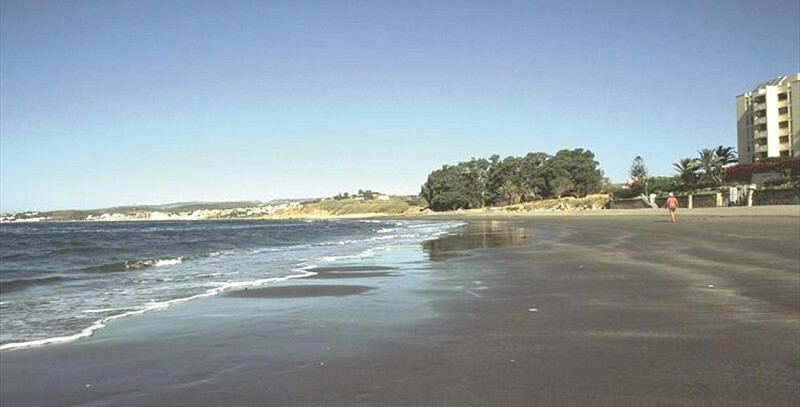 In addition, it has about 1,2 kilometers of gray sand, with shallow waters, being very popular with family and gay public. 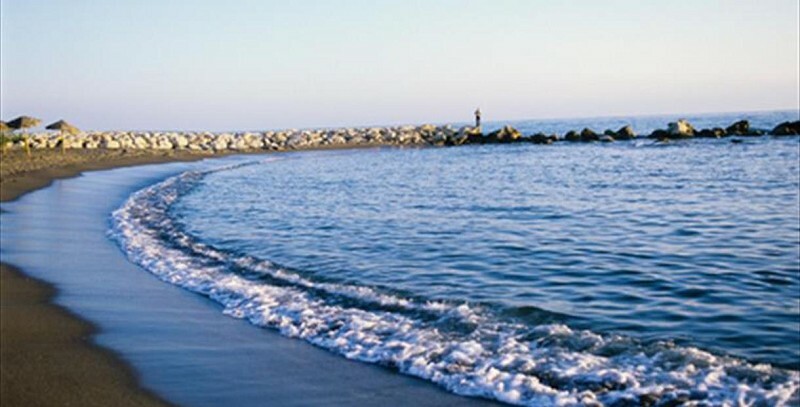 Estepona has more than 20 kilometers of beaches and an excellent climate thanks to the mountain range of Sierra Bermeja. Among all these beaches in the region of Málaga, Playa del Cristo stands out. This semi-urban cove is sheltered from the winds of the Strait, so enjoying its dark sand and calm waters is pure relaxation. In fact, because it is so flat, it is very normal for the beach to be frequented by families with children playing on the shore, or by young people. Also, although it does not have a promenade, it has a parking area, toilets, showers and hammocks. Located between Playa del Palo and Baños del Carmen, Pedregalejo Beach is 1200 meters long, a picturesque fishermen’s quarter and a promenade filled with restaurants, where you will be offered delicious local dishes such as the typical espetos malagueños. With a lively atmosphere, it is very frequented by young people and foreigners, who spend the day at the beach or enjoy a cocktail until late at night. On the other hand, Playa de Pedregalejo, being urban, has all the essential facilities and is accessible to people with reduced mobility. Also, its sand and its cozy coves with a calm tide, or its playgrounds, make it one of the most fun beaches for children in Málaga. Relax, bathe in its waters, taste the local cuisine and stay to watch one of the most awe-inspiring sunsets of the Costa del Sol. 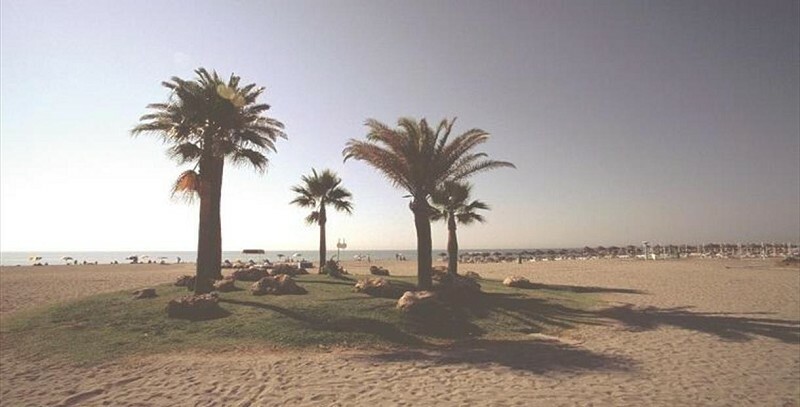 Although it is not one of the most beautiful, it is undoubtedly the most popular of all beaches of Málaga city. La Malagueta Beach is only 10 minutes away from city center, between the port and La Caleta Beach, so many people come here to sunbathe, walk along its fantastic promenade or practice sports. This urban beach offers various services, such as cleaning, relief services, beach bars or kiosks, but one of the must-see spots, is where you can find the mythical letters of the “malagueta”, in which you must take a photo, to show off your holidays. If you want to enjoy the beach and live the night without having to move, Playa de los Álamos is your best bet. It is located between Playa de Playamar and the limit with the municipality of Málaga, is 1,5 kilometers long, with all the essential services and facilities. With sand and small waves, it is very popular among young people, who come to this place to tan during the day in comfortable hammocks and Balinese beds. Filled with restaurants and chill-outs, you can eat and spend a day without having to travel. In addition, at night, its atmosphere changes, becoming one of the most frequented and vibrant areas of the coast of Málaga, ideal for those who want to dance the night away, have a drink or enjoy a hookah in the coolest environment. 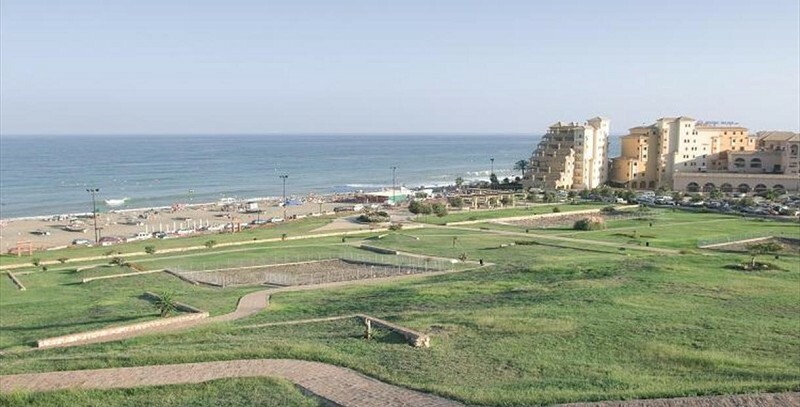 This fine sand beach is located at the foot of the Sohail Castle, in the city of Fuengirola. Bathed by clean and calm waters, it is a good place to enjoy a beach day with the family. So much so, that it receives year after year the Blue Flag, an award from the European Union recognizing the quality of its waters. 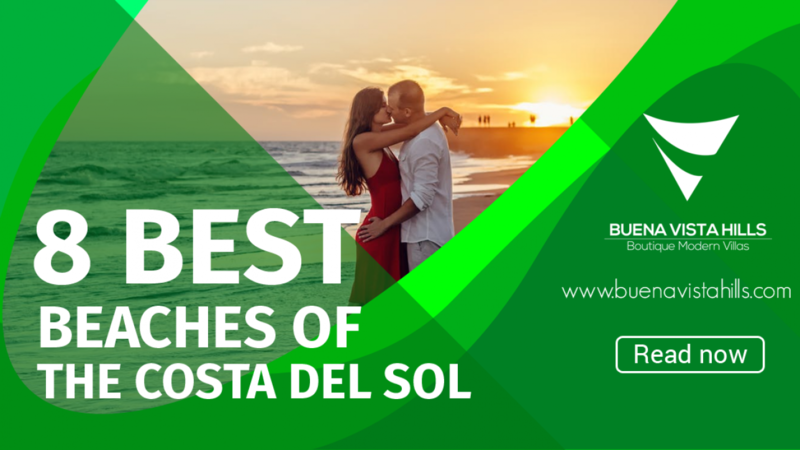 Keep in mind that Playa El Castillo not only has any service/facility you may need, such as restaurants, hammocks or relief services, but also has many other attractions. Some of them are the boats for cooking barbecues (which, in Málaga, are known as “moragas“). After booking, anyone can use these boats anchored on the beach, so that, with a little charcoal or firewood, espetos or pinchitos, you can spend a great day of barbecue and baths with your family or friends. Another great benefit of this beach is that it is dog-friendly. Do not leave your four-legged friend behind this summer and take it with you. On this beach for dogs in Fuengirola, as long as you follow its regulations, your dog can run, sunbathe or bathe with you, without any problem. 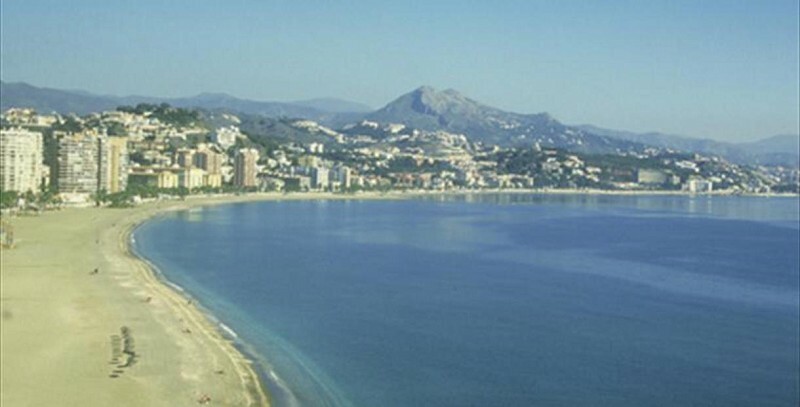 If you are looking for one of the best beaches in the region of Málaga, Playa de Maro is one of the best rated ones. Just 5 kilometers away from Nerja, its 500 meters of dark sand, surrounded by a lush environment, as well as its crystal-clear waters, will take you to a feel of tropical paradise in an instant. Maro Beach has all kinds of essential facilities, such as restaurants where you can taste local specialties, showers, toilets and cleaning services, so it is ideal if you are on holiday with children. In addition, the vastness of the beach, spreading over 20 meters, and its calm waves, make it a very safe marine environment. Also, the clarity of its waters and its cliffs full of marine life, make it the perfect place to practice water sports like kayaking or scuba diving. 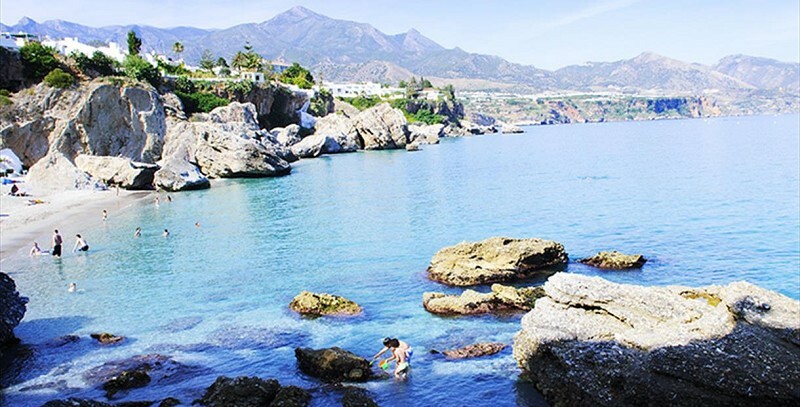 This small cove of no more than 150 meters is located just below the most touristic point of Nerja, the Balcón de Europa. To access it, you will have to enter the “Boquete de Calahonda”, a corridor with an arch on the left side of the Balcón de Europa, that will take you directly to the stairs descending to its fantastic beach. Although the slope is steep, this staircase is quite wide and is a must-go place from which you can immortalize your holidays with your selfie stick, with this paradisiacal beach in the background. Once you get to the beach, you can see that the sand is dark and its waters completely transparent. In fact, the cliffs that surround it make it one of the most beautiful landscapes of the Nerja coast. Moreover, since it is a semi-urban beach, it has relief services, showers, litter bins and hammock rentals. Keep in mind that Calahonda is not only one of the best beaches in the Málaga region, but it is located in one of the most beautiful villages.